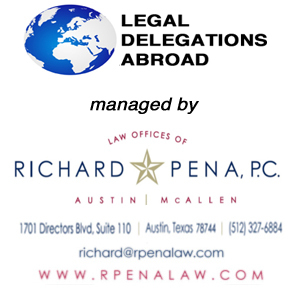 “Fantastic” is the best way to describe the experience of the Texas Lawyers Delegation in Cuba. We arrived at Jose Marti Airport in Havana, on May 12, 2001, and departed one week later. It was a short, and at the same time long, week. It was short because we wanted to stay longer and, in many ways, felt like we had just scratched the surface in our understanding of the Cuban legal system. It was long because we saw, experienced, and learned so much. Wallace Stephen, a poet and lawyer wrote: “I cannot make the world quite round, but I patch it as I can.” Did we change the world? Probably not. Did we patch it somewhat? Yes, and I feel certain that we planted a seed for a better understanding and relationship between our two countries. Our delegation of nineteen (19) Texas lawyers and guests met in Nassau and was transported to Havana by Cubana Air. We were all looking forward to our Cuban adventures. We had heard the tales, by those Americans who had recently been in Cuba. They spoke of Cuban people who were wonderful and warm. They spoke of people with a good sense of humor, who had a positive attitude and who valued National dignity and were proud of their social accomplishments. They spoke also of these same people who had very little materially, and cherished the smallest of American items. They spoke of the beautiful land and beaches. A tour manager who frequents Cuba told me that the Cuban people liked Americans, but not our government. I felt that at the end of our Cuban adventure I would have the same feelings toward Cuba. We all realized that we were visiting Cuba at a fascinating historical moment. What we found was a country 90 miles from our borders, which is seemingly untouched by Western commercialization. Outwardly, it reminded me of a country that was frozen in time fifty (50) years ago. For example, the cards people drive are from the 1950’s, which are somehow kept running by amateur mechanics. The goals of our delegation, upon leaving Nassau were: 1) to learn about the Cuban legal system and its culture, 2) to appreciate the adventure we were about to experience, and 3) to represent the Lawyers of Texas, the State Bar of Texas, the United States, and the People to People Ambassador Program in a dignified manner that would bring honor and respect to our delegation. At the end of our visit, as we were riding our bus to the Jose Marti Airport in order to exit Cuba, I told the delegation that I was proud of them and that they had met their goals with flying colors. I also shared with them something my wife, Carolyn, had said at our farewell dinner the night before. As we had arrived for the farewell dinner at the Club Havana, the ladies were greeted with roses, the gentlemen with cigars, and all with the Cuban drink mojito. There was a beautiful orange sunset over the sea. My wife turned, looked at me, and said. “Pretty darn neat!” In her way, she was telling me that this moment, and our whole Cuban experience was a perfect 10. The Cuba that we experienced has many faces and many complexities. We came not to judge the Cuban system of government; rather, we came to learn, to exchange, and to be ambassadors of good will. Once there, we realized that we were part of a human bridge that spans the 90 miles that divide our countries. We came, in the end, to help promote peace. What we found was a country that is not black and white. We found a people that are proud and warm. We found a country that is beautiful. We found an old breed of Cuban, who is fiercely loyal to the “Revolution.” At the same time, we found a new breed of Cuban, who is restless and longs for a market economy. These younger Cubans, generally in the 20-29-age range, are practical and understand that there can be a better life. This “frustrated generation” has been indoctrinated, but their life experience tells them that something is wrong. Yet, it is important to keep an open mind and listen to the older Cubans who say things are better than before the Revolution, when there were few jobs, little to eat, a privileged class, and a corrupt government. At least now, they say, Cubans have a safety net. People do not have much, they say, but they do not go to bed without eating. In general, the Cuban people are very proud of their history, of their revolution, and of their heroes. And this developing country, with few resources is somehow holding on. The streets are safe to walk for there is little crime. The question is, “At what price?” “Due Process” is a term that has no practical meaning in Cuba. My impression is that there is a great waste of bright, innovative, and competent people simply because they are not given an opportunity, or rewarded, for excellence. Achievement is stifled, and this is too bad because the greatest resources I found in Cuba are its people. However, a new Cuba is emerging. It is opening its doors to tourism and, thus, to the world. Just as globalization is overtaking us, these same forces are simply too great for Cuba to remain an isolated country. Finally, I would like to thank this delegation of Texas Lawyers to Cuba who recognized the significance of this moment in history and performed like a championship team. Applauses must also go to the People to People Ambassador Program for taking Americans to sensitive areas in the world. I have come to understand that much can be accomplished by peaceful interaction, people to people.